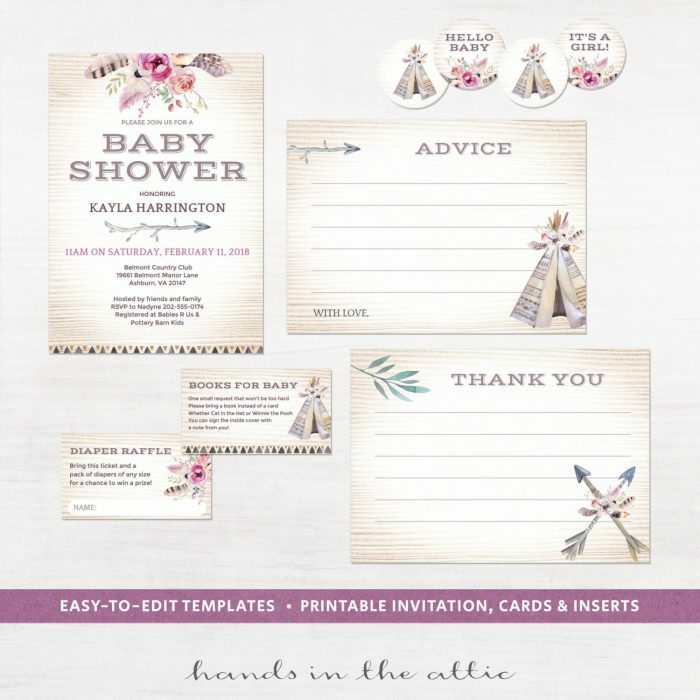 Browse our range of printable baby shower invitation kits! 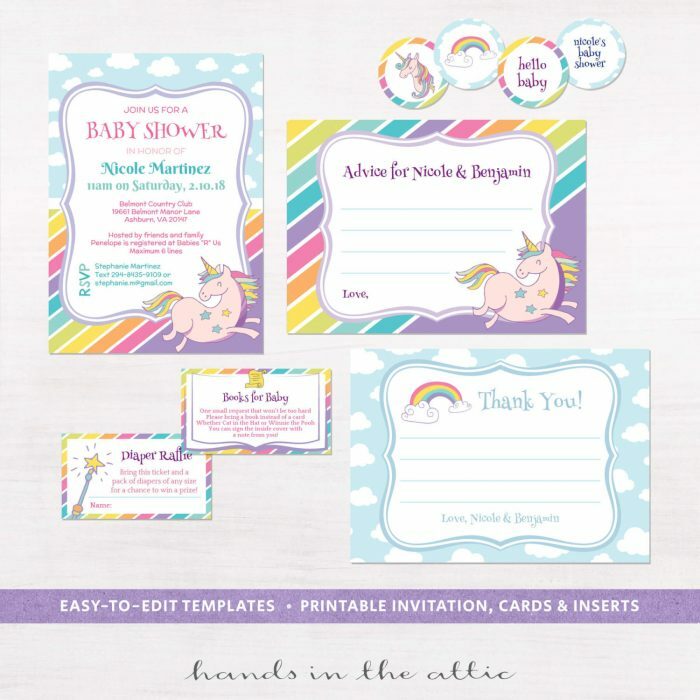 Each set consists of 5 cards: invitation, thank you, advice, books for baby, and diaper raffle. 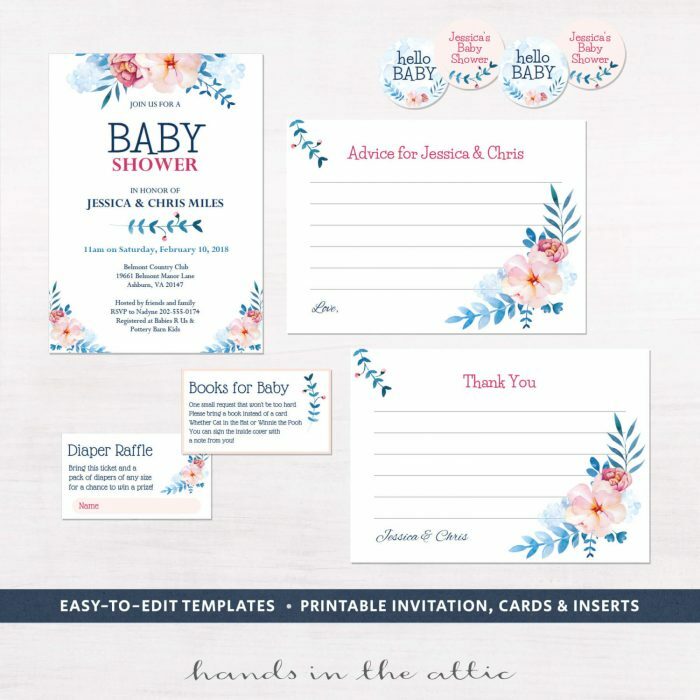 Additional round labels with the same theme are also included. You can print these circles and use them as cupcake toppers or stickers. 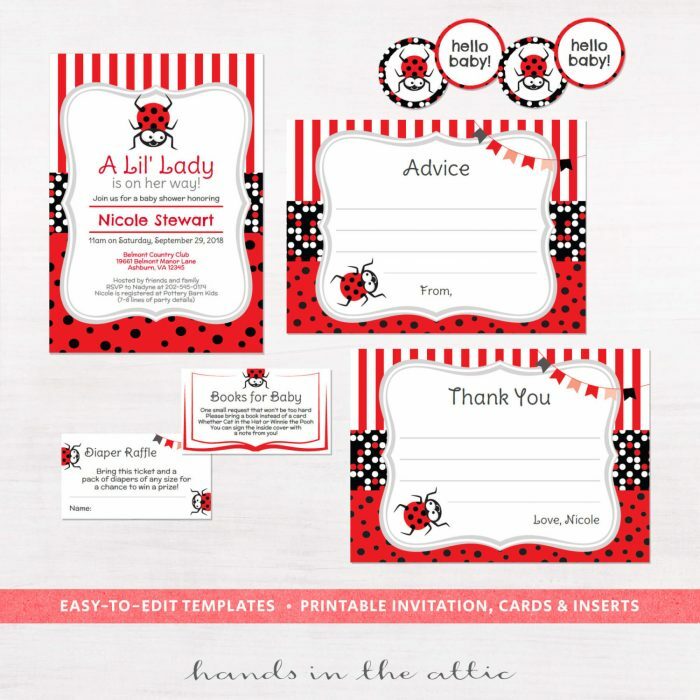 Print the cards on letter-size paper or cardstock. Using the outlines and a craft knife or scissors, cut them out and your cards are ready! All items are digital products that you print on your own.